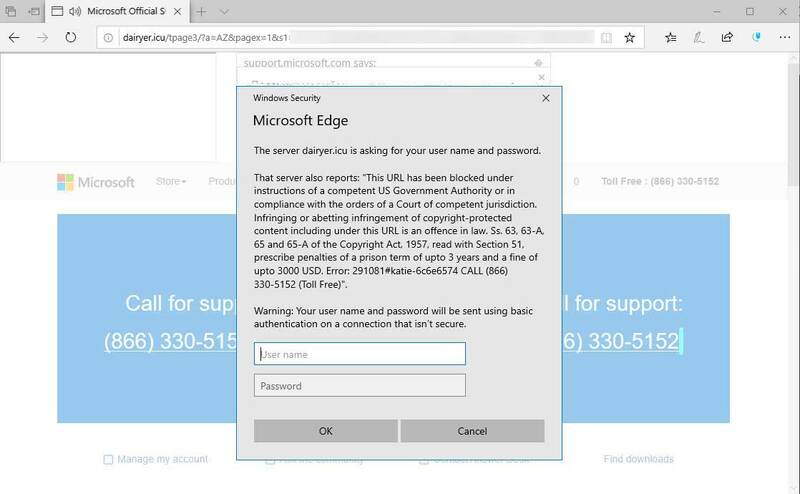 The Blocked by US Government Authority Tech Support Scam Popup is a web browser advertisement shown by scammy remote tech support companies that try to scare visitors into thinking that they are infringing on copyrighted content and that their computers have been blocked. The scam then tells you to call the listed number in order to avoid a penalty or jail time. It is important to understand that if you see this alert in a web browser, then your computer is fine! This is just an advertisement and you should not call the number or purchase any services from them. Once again, this is just a fake message and your computer is not infected, your computer is not blocked, you are not in trouble, and the site has no idea what is happening on your computer. This is just a scam to try and scare you into calling the listed number. At this same time, for those who have never seen a message like this, it can be quite alarming as these scams make it difficult to close browser tabs or the browser itself. 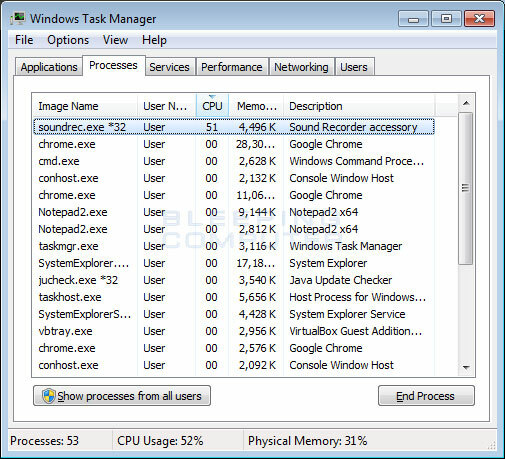 Thankfully, almost all browser based tech support scams can be closed by simply opening Windows Task Manager and ending the browser process. It is important, though, that if you end the browser process that you do not reopen previously closed sites if prompted by the browser when you start it again. 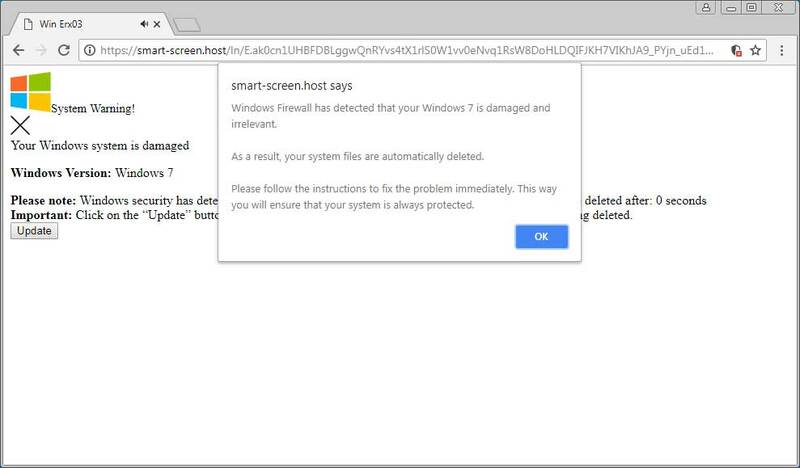 On the other hand, if you are constantly seeing these types of tech support scams, or these pages are opening by themselves, then it may be possible that you are infected with an adware or other unwanted program that are displaying them. Once again, do not worry as it is quite easy to remove these infections if you follow the guide below. Why am I Seeing the Blocked by US Government Authority Tech Support Scam? The Blocked by US Government Authority Tech Support Scam is shown through advertisements that redirect you to sites that display this scam. These advertisements can be displayed by installed adware programs or through less than reputable sites that are displaying them to generate advertising revenue. For the most part, if you see a browser based tech support scam, then you can simply close the browser and start it again. On the other hand, if you are continuously seeing scams with alerts like “Blocked by US Government Authority “, then you should scan your computer for adware and remove anything that is found. Last, but not least, if you have contacted the listed phone number and purchased any services from them, you should contact your credit card company and immediately dispute the charges as a scam. Your computer should now be free of the Blocked by US Government Authority Tech Support Scam program. If your current security solution allowed this program on your computer, you may want to consider purchasing the full-featured version of Malwarebytes Anti-Malware to protect against these types of threats in the future.